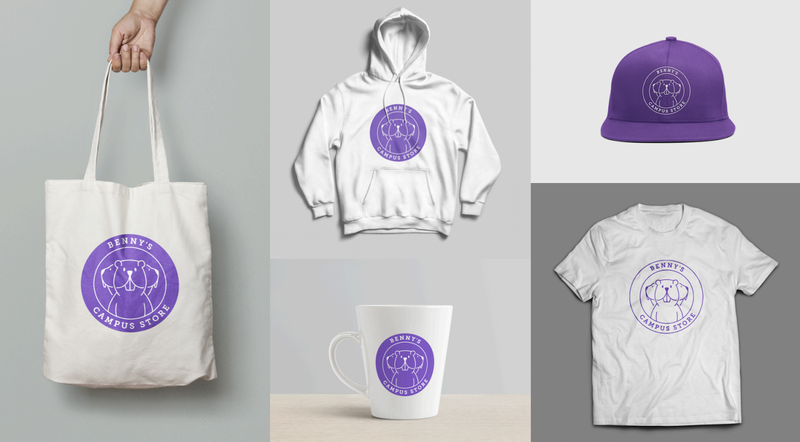 It started as a nine month branding project by BIC students Vivi Billesoe, Iara Camona, Kacy Charles, and Surabhi Govindarajan to create a brand identity for the on-campus spirit store. 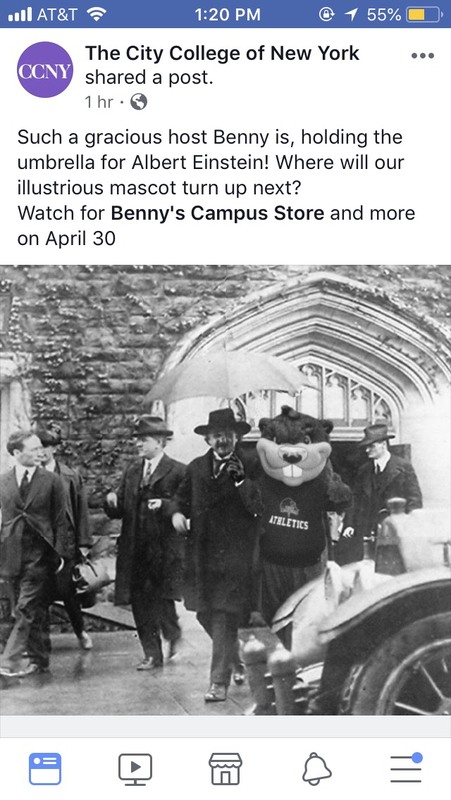 But on April 30th, the campus will experience bonafide Benny MANIA as the school mascot struts his stuff beyond the spirit store to spots all across campus. 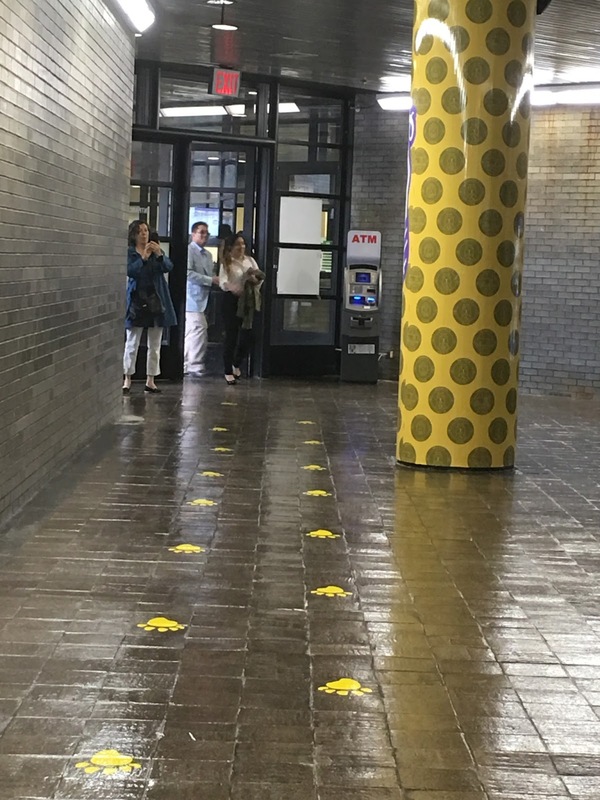 From the very beginning, the BIC team (mentored by BIC Professor Gerardo Blumenkrantz) appreciated the power of a physical space where students could purchase CCNY merchandise. According to their research: 1) an actual store sends a message to the greater community that we’re all connected to a positive place, 2) it builds camaraderie and gives people a tangible way to express their school pride and 3) connects students and families off campus, too. 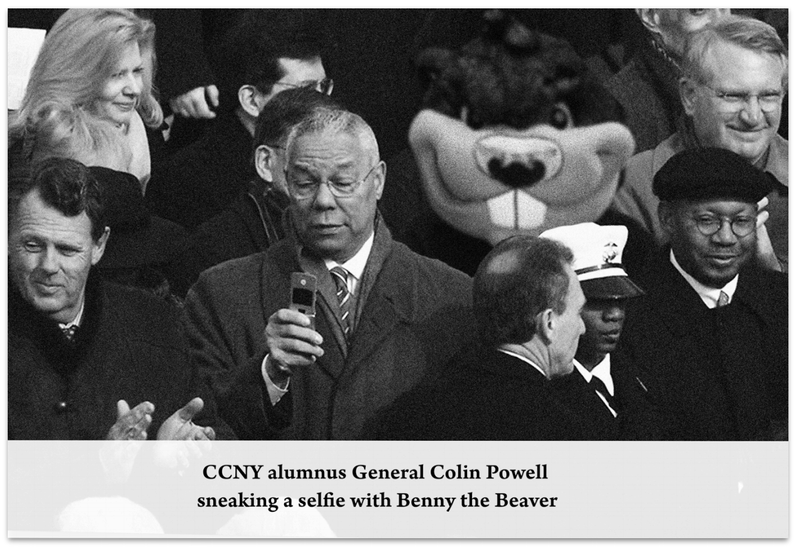 According to their presentation to senior stakeholders at the college including Senior Advisor to the President Dee Dee Mozeleski and CCNY SVP COO Len Zinnanti, BICsters asserted that City College has a great legacy of excellence AND inclusion AND diversity AND successful alumni AND Nobel Prize winners. BUT students don’t really know much about this proud heritage. 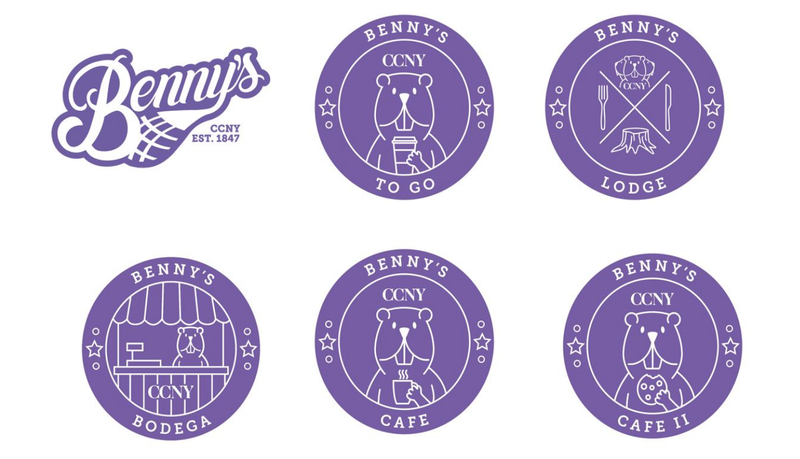 THEREFORE a spirit store with "ownable" brand identity gives CCNY a great opportunity to create an immersive experience for students and families where they can connect with City College’s unique and powerful brand value. So what’s the hook? 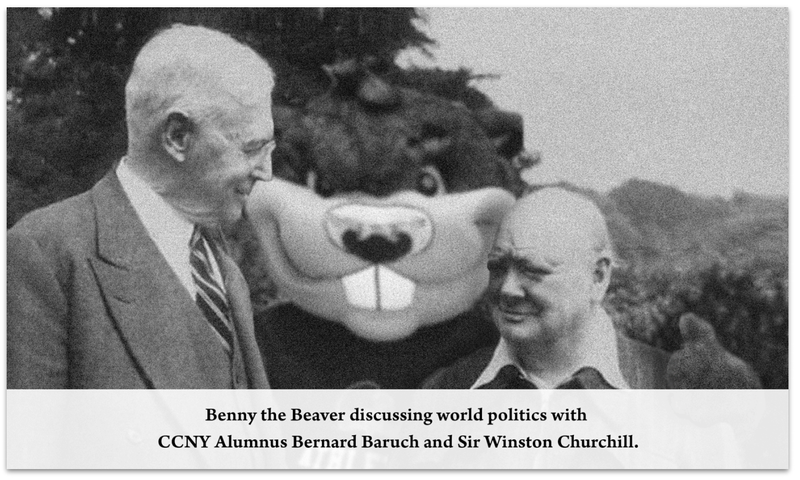 Benny the Beaver, CCNY’s mascot since the 1930s. 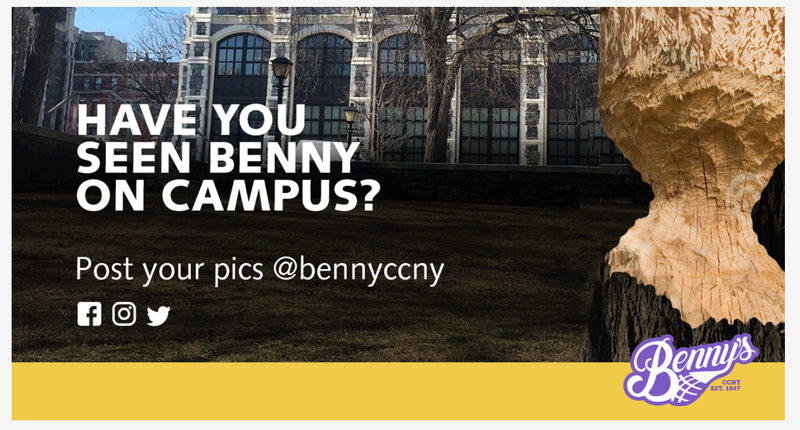 BICsters confirmed interest in the mascot through a survey that brought CCNY students into the naming process. 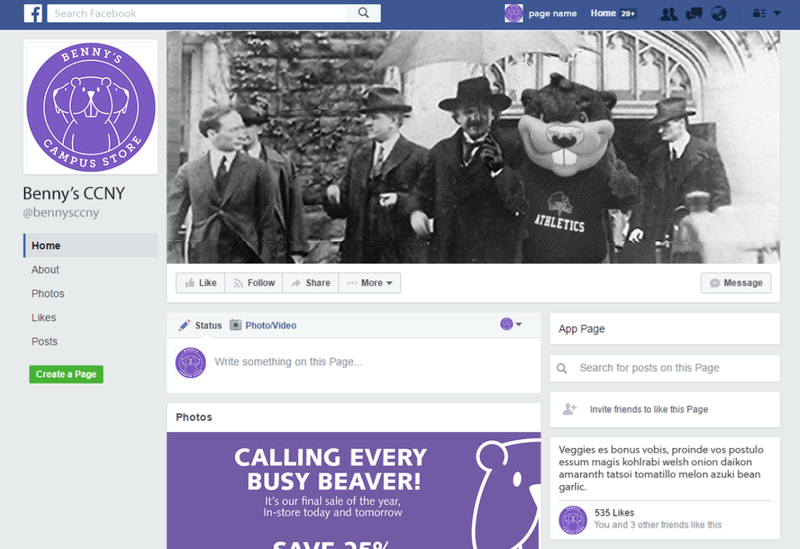 Once they had a strong strategic message and name, BICsters got to work on a big idea and executions that included a logo, teaser ad campaign, experiential, social, in-store signage, and grand opening promotion. 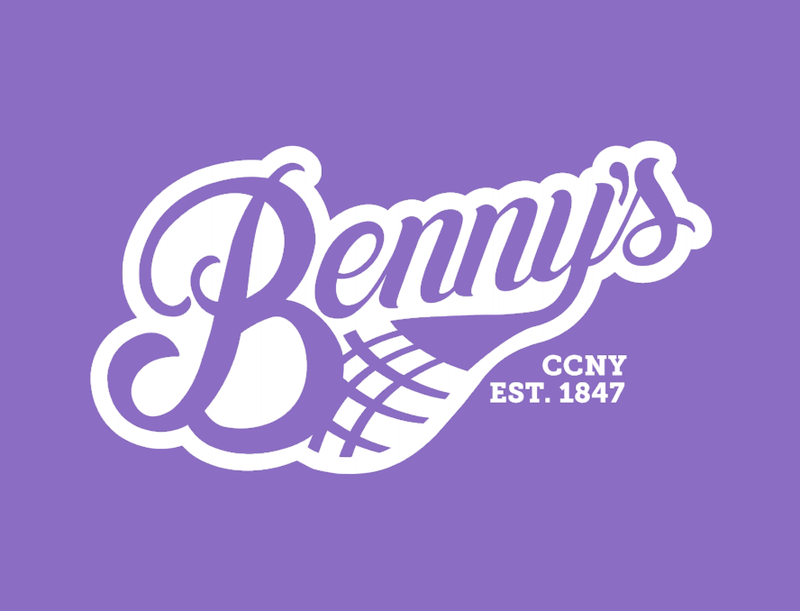 From there, CCNY Office of Communications got to work and not only made it happen, but extended the Benny brand to other locations, including the dining hall, cafes, and bodega.